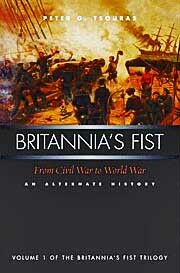 Tsouras, Peter G. Britannia's Fist: From Civil War to World War . Potomac 2008. What if: Britain intervened in the American Civil War after a Union ship seized a Confederate ship in British waters. Series note: Series including Britannia's Fist , A Rainbow of Blood , and Bayonets, Balloons and Ironclas . Series note: Volume one of the Britannia's Fist Trilogy. Published: Potomac 2008 (1574888234w88 android); and Skyhorse 2014 (1628736763BUY). 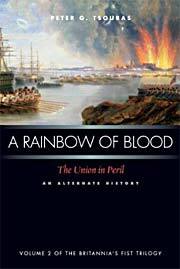 Tsouras, Peter G. A Rainbow of Blood: The Union in Peril . Potomac 2010. Series note: Volume two of the Britannia's Fist Trilogy. Published: Potomac 2010 (1597972118BUY); and Skyhorse 2014 (1628736976BUY). 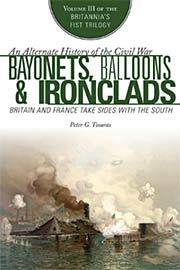 Tsouras, Peter G. Bayonets, Balloons, and Ironclads: Britain and France Take Sides with the South . Skyhorse 2015. Series note: Volume three of the Britannia's Fist Trilogy.